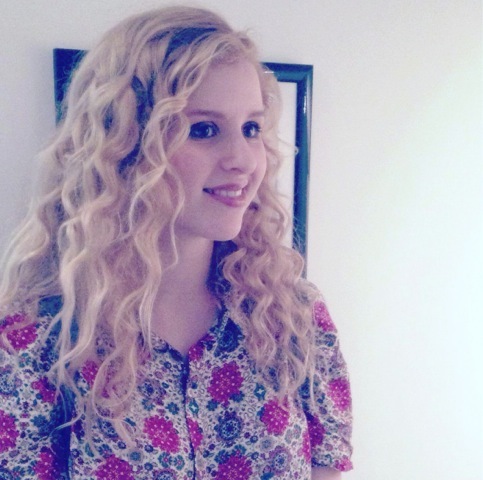 It’s been a massive week for up and coming UK based musician Hannah Grace, after releasing her debut EP Meant To Be Kind. On top of this stellar release, Grace also released her second single from the album, Broke, which is currently the Single Of The Week on the UK iTunes charts. Meant To Be Kind is burning up the UK singer/songwriter iTunes charts, currently sitting in the top ten among artists like Ed Sheeran, Gabrielle Aplin and Jake Bugg. With a voice beyond her age and a soul before her decade, Hannah’s music covers a wide spectrum of emotions (and musical notes) within just four incredible songs. Unlike a great deal of artists these days who write about the pain they experienced in breakup, Hannah’s leading track Meant To Be Kind is written under the perspective of the dumper. The albums debut single of the same name has been receiving rave reviews following its release earlier this month, accompanied by a music video that makes your heart truly break for the beautiful blue-eyed boy in it. What begins as a delightfully soft song soon becomes filled with power (and raw talent) as Grace gives it her all for instrumentally rich chorus; a common theme throughout the EP. 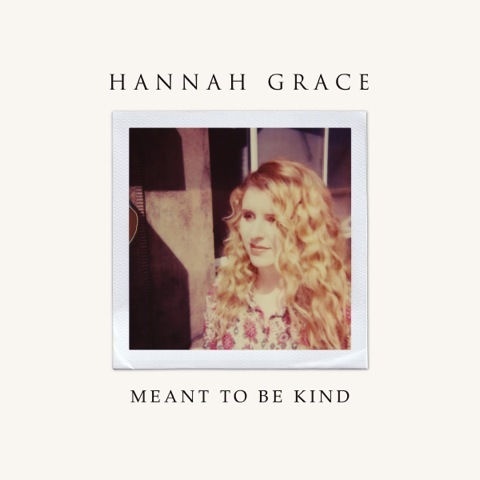 Hannah Grace’s most recently released single Broke, however, is lyrically almost on another spectrum to Meant To Be Kind. A personal favorite of mine, Broke deals with a feeling even the best of us have felt at some point in at sometime in our lives: brokenness. The lyrics are vague, yet deep, enough to be relevant to a range of tear worthy situations, accompanied by a key change that’ll have you throwing your hands in the air in a sweet release … or on the ground in fetal position. Following the EP’s release earlier this week, Hannah was able to answer some questions for us! Everyone, meet Hannah Grace. So to start us off, you’re Hannah Grace (duh! ); but to those who are unfamiliar, how would you describe your music style? This is always one of the hardest things to do. I’m inspired by so many different styles, but I guess it would have to be, soul, bluesy, folk pop!? You’ve just released your debut EP Meant To Be Kind! Congratulations! Has it been a long time coming? In a way it has yes, I’ve wanted to release an EP for a very long time, but the hardest part for me was figuring out what I wanted it to sound like. Once I felt like I was on the right track in terms of sound, it all fell into place quite quickly. What was the writing and production process like for you? Amazing! SO much fun! I already can’t wait to work on new music! Of the four tracks, which would you say is your favorite? Musically and lyrically? It’s so hard to choose, it changes every day. But at the moment I think one of my favourites is Broke. Your album comes after you were picked up by Never Fade, Gabrielle Aplin’s label, for whom you’d been singing backing vocals for, for a while now. Was it something you two had been talking about for a while, or did it come as a bit of a surprise to you? Gabrielle has always been really supportive of my me and my music and has given me so many amazing opportunities – supporting her on tour and singing backing vocals for her. But I was extremely grateful and overwhelmed when she wanted to help me release my own music on Never Fade. It has all been such a great experience. Speaking of solo performances, I saw you just booked your first solo festival gig. I know the summer festivals over in the UK are insane, so you must be crazy excited! I am very excited! I can’t wait to perform the songs from the EP! Are there any places you’ve played, either solo or with Gabrielle, that have really been memorable for you? The first time I supported Gabrielle in Cardiff (my home!) in “Clwb Ifor Bach” was very memorable, it was amazing to play to a home crowd. I also supported Gabrielle in Koko in London which was the biggest show I have ever done, the audience were unbelievably nice it was one of my best live experiences. Do you have a dream venue to play? I know it’s a bit crazy but probably The Albert Hall in London. I have been there a few times to see things and it has an amazing special and intimate feel despite being a really huge venue. The Opera house in Sydney is also nice. Eva Cassidy is probably my earliest and biggest influence but I also love Paulo Nutini, Michael Kiwanuka, Paul Simon and Beyoncé to name a few. If there were no limit to what you could achieve, where would you like to be taking your career? It would just be amazing to be able to make music that I’m proud of and love to sing as my full time job. Cats (adorable kittens) or dogs (equally as adorable puppies)? I am definitely a cat person. But puppies are obviously cute. What’s the most embarrassing thing in your refrigerator? Lots of cheese? You’re having a dinner party with your all time musical idol … who else do you invite and what is on your menu? All my family and friends. And cheese.